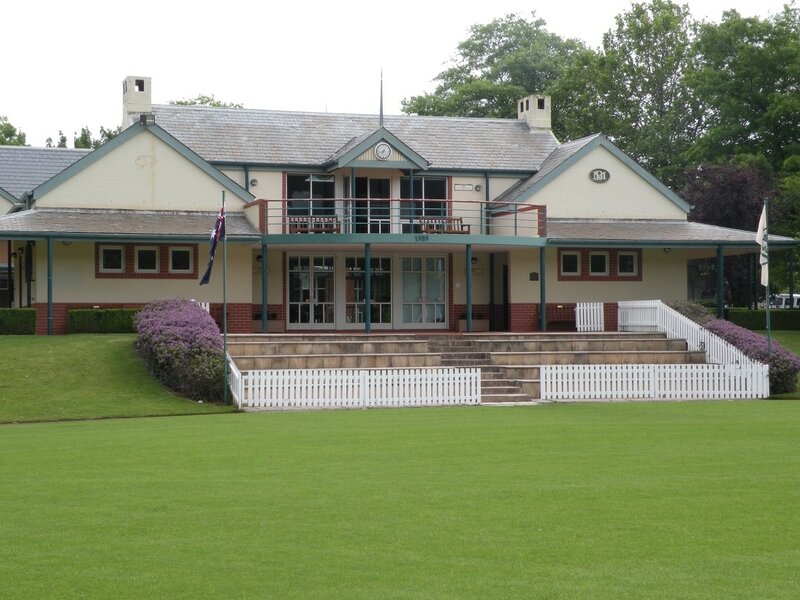 Located in Bowral on Bradman Oval, the very pitch where The Legend, Sir Donald Bradman honed his skills that went on to make him the greatest batsman the game has ever seen. The International Cricket Hall of Fame (ICHF) is devoted to the game of cricket; its rich history and the many remarkable players and moments that have contributed to it. It is built on the site of the former Bradman Museum. Through interactive displays, captivating archive footage and items of historical value it tells the stories of the international cricketing community and the passion of the people behind this much loved sport. It shares their courage, determination and spirit. The Bradman Foundation is a non-profit charitable Trust which owns and operates the ICHF and Bradman Oval. It was established with the full support of Sir Donald, to promote cricket as a valuable cultural and sporting force in the community. The ICHF incorporates technology never before seen in Australia. You will be fascinated by the story of cricket set against world history, captivated by the live broadcasts from around the world, intrigued by the real Sir Donald Bradman, and inspired by the integrity of the greats of the game. 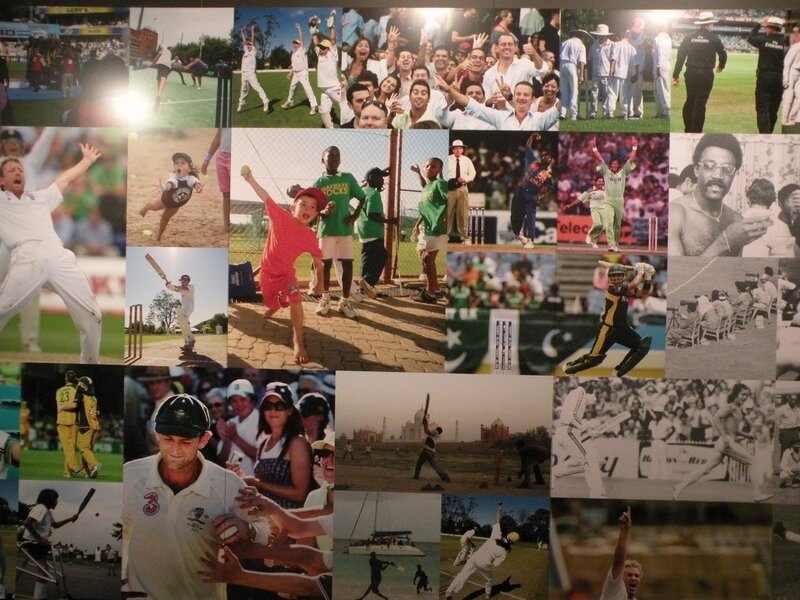 The Origins Gallery traces the fascinating history of cricket from the 14th century through to the late 20th century. Find out how bats were made, what cricketers wore, and how the game evolved over the centuries, including the story of Bodyline and film footage of the Centenary Test. 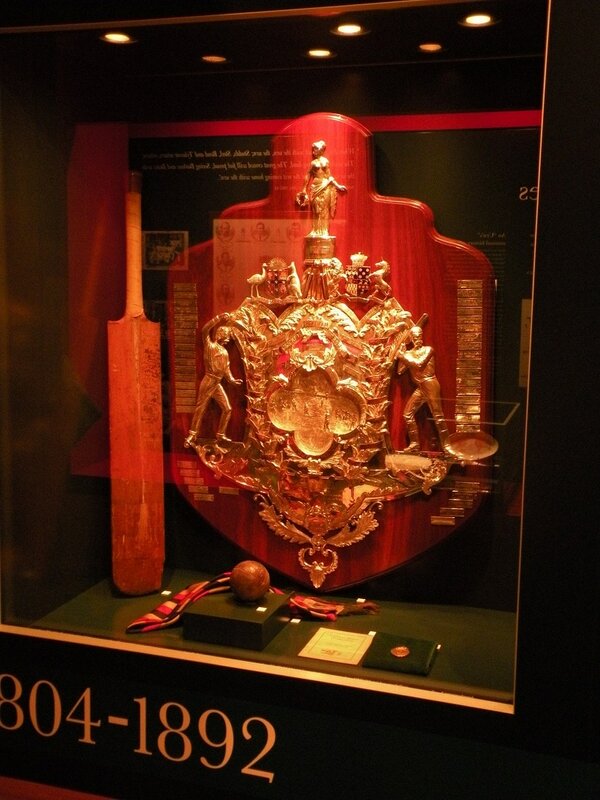 The Bradman Gallery where you can discover the life and accomplishments of Sir Donald . See his very first bat, a life sized portrait, hand-written coaching notes and 35mm slides that he used to coach children in the 1940s-1960s. Kids, of all ages, love to try and emulate Bradman’s training technique of hitting a ball against a water tank with a stump. In 1977, the game of cricket changed forever. The introduction of World Series Cricket was controversial but significant. A good chance to rest while you watch enthralling footage and interviews of memorial moments. Five monoliths, ordered by era, combine to tell the story of cricket and explore why this great game remains important to millions of people around the world. Footage is projected in large scale atop each monolith to create an inspiring 20 metre panoramic screen. The hard choice is which one to watch, so I opted to sit on one of the couches and watch as many as I could. 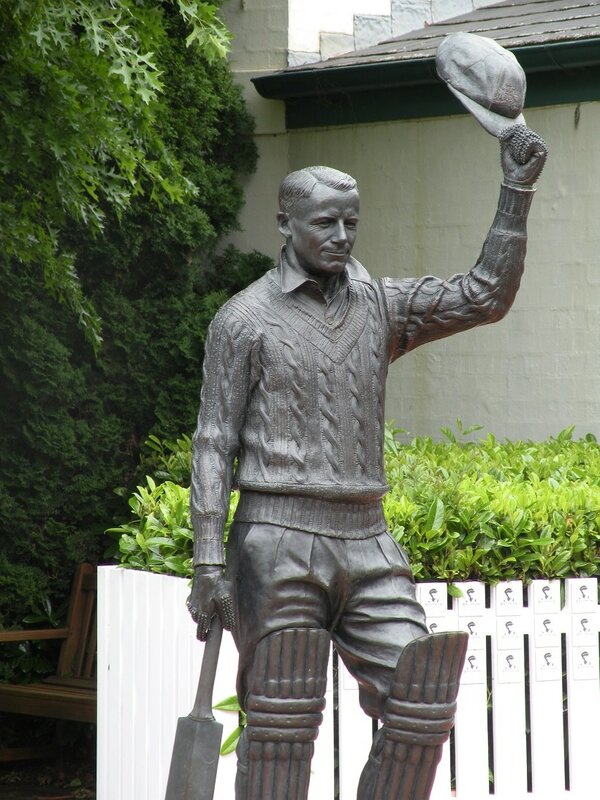 Enjoy the life-sized statue of Sir Donald Bradman in the courtyard and read the plaque, in the Rose Garden, where Sir Donald and Lady Bradman’s ashes are scattered. Located in St Jude Street, Bowral NSW, off the F5 Freeway (Hume Hwy), half-way between Sydney and Canberra. 10am – 5pm everyday, except Good Friday and Christmas Day. Bowral is the biggest and most sophisticated of all the towns and villages in the Highlands and home to an exciting and eclectic mix of eateries, wineries’, boutique shops, country markets and events. Surrounding towns and villages include Mittagong, Moss Vale, Roberston, East Kangaloon, Glenquarry and Kangaloon. 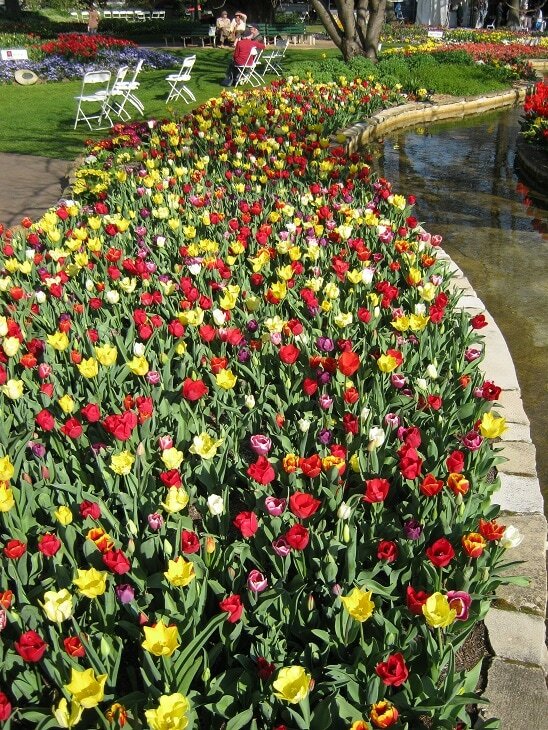 Tulip Time, one of Australia's oldest and best loved floral festivals continues to grow as the region's largest event. Corbett Gardens, the centrepiece of the Festival is mass-planted with over 75,000 tulips, 15,000 annuals and an additional 40,000 tulips planted across the Shire. (Well actually I took their word for the numbers). Overall a celebration of stunning tulip displays, entertainment, special events and premiere private gardens, so essentially there's something on offer for the young and the young at heart! Located midway between Sydney and Canberra and just over an hour from the South Coast, the Southern Highlands is known for its cool temperate climate and low humidity levels, making it a the place for your next short break. From the national parks and waterfalls, through rural landscapes to our historic country villages and towns, the Southern Highlands presents a diverse array of activities and attractions and is recognised as a cool climate wine region and is of course, the Bundanoon Highland Gathering – Brigadoon.